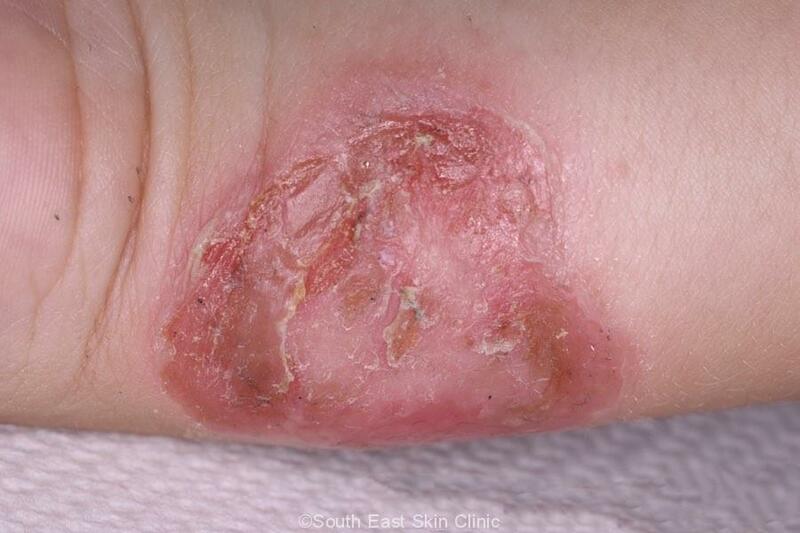 A highly contagious bacterial skin infection. 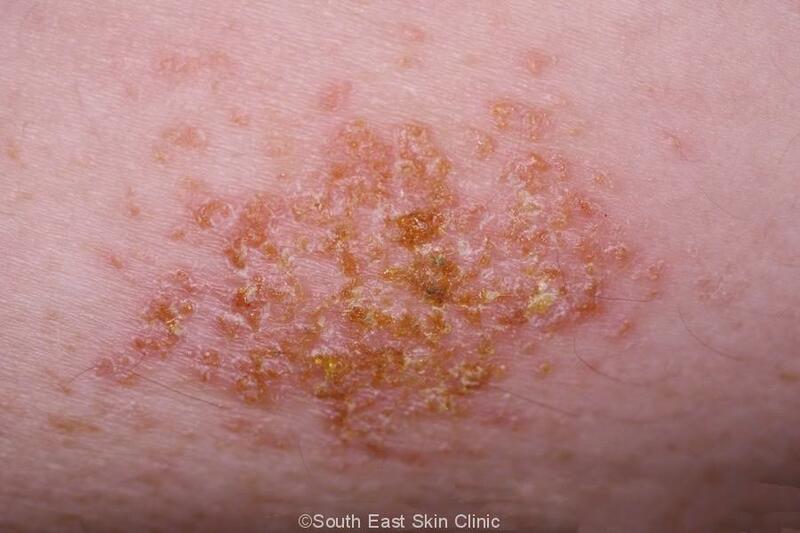 School sores, a colloquialism for impetigo, is a very infectious superficial bacterial infection of the skin. Around 80-90% of infection is caused by “Gold Staph” (Staphylococcus Aureus). Streptococcus causes most of the other cases. They are most common on the face and forearms/lower legs. School sores are very common in kids – but also occur in adults (impetigo). The condition is very contagious. Young children pass it to each other very readily. Start treatment early for both ease of treatment and to get back to daycare/school/work as soon as possible. Kids with eczema are more likely to get severe infection. Recurrences can be caused by self-infection from staph carried in places like the nostril. What do school sores look like? There are two clinical types of school sores. The Crusted type (non-bullous impetigo) accounts for 70% of cases. They start out as blisters or pustules that rupture. The crust is usually yellow, orange or brown in colour and can become quite thick as it accumulates. The bullous type (bullous impetigo) accounts for 30% of cases. The lesions are eroded and red. They actually start as “bullae” which are large blisters but they burst almost as soon as they form. Look for the the edge of the blister just inside the rim of the lesion. The surface may be red, moist or covered in a thin honey-coloured crust. Classical bullous impetigo represents toxin produced by the Staph bacteria. How long does my child need to stay away from school or daycare? It is common for a GP to see a whole family who have passed school sores to each other. Cover the sores at home as well when there are playmates or sibilings around. What is the treatment for School Sores? Very mild cases might go away on their own. However, this risks the condition spreading and infecting other people. Antibacterials are the treatment of choice. Mild cases can be treated with antibiotic cream or ointment. Wash any crusts off first. Usual treatment in Australia is Mupirocin (®Bactroban) that is applied three times per day for 10 days. More widespread infections will need oral antibiotics such as Flucloxacillin or Dicloxacillin or Cefalexin for 5-10 days. It’s probably fair to say that kids are often treated with oral antibiotics for mild school sores when topicals might do the job just as well. Clearly, it’s very disruptive to a family for a child to be out of daycare for any longer than is necessary – for example, in a child who doesn’t respond to topical antibiotic and subsequently needs oral antibiotics. On the other hand, antibiotic resistance is now “an urgent global health priority.” Overall, the guidelines are very clear that topical antibiotics are preferred to oral antibiotics for mild cases¹. How do I treat recurrences? Recurrences are common in children and may be caused by infection off playmates or auto-infection (infecting themselves). Your GP may suggest a swab just inside the nose for staph that may be harbouring there. It may also be worth getting a swab of an infected lesion to check for unusual bacteria. In addition, resistant staph such as MRSA can cause impetigo. There are various methods to try to reduce staph carriage on the skin. These methods also apply to kids who get recurrently infected eczema. Antibacterial soaps – some come as bars, some as dispensers. Antibacterial Bath products. Manufacturers such as QV, Cetaphil and Dermeze produce these. ®Condys Crystals in the bath. There isn’t hard evidence to say which of these methods is best, or indeed if they work. However, it is usual to recommend an antiseptic bath for children with recurrent impetigo because it just might stop another disruptive round of School Sores. You can find more information from health direct australia. 1: Impetigo, Diagnosis and management; Am Fam Physician. 2014 Aug 15;90(4):229-235. 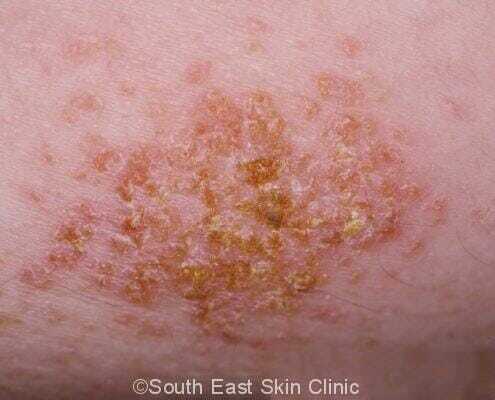 2: Primary Care Dermatology Society – Impetigo guideline.